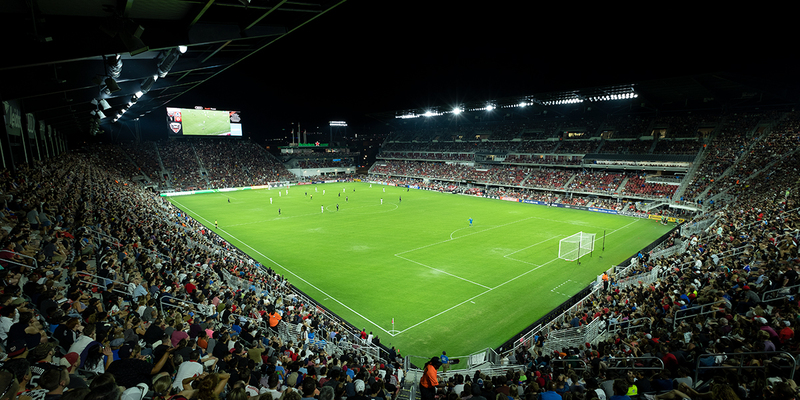 “Throughout the planning and construction stages of Audi Field, our goal was to be at the forefront of cutting-edge technology to enhance the fan experience and provide the community with an energy efficient stadium. 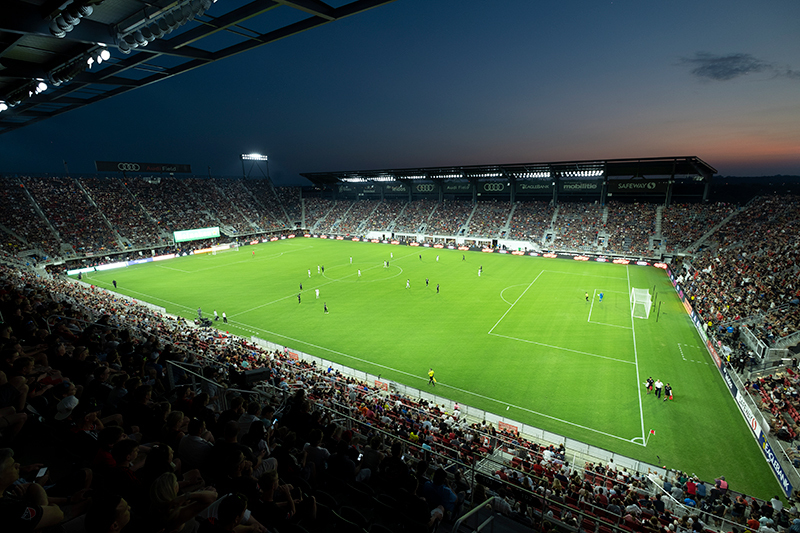 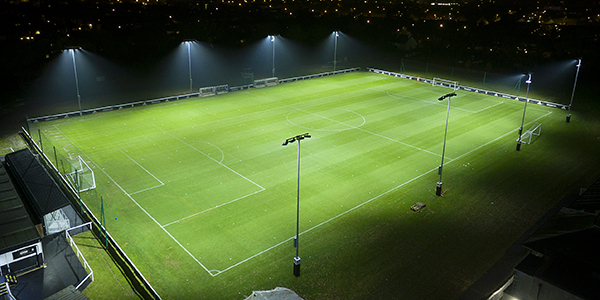 We’re excited to use Musco Sports Lighting to create an electric atmosphere at Audi Field while maintaining the highest standard of green efficiency." One of the most successful franchises in Major League Soccer (MLS), D.C. United’s construction of a new home stadium, Audi Field, has been highly anticipated by players and fans alike. 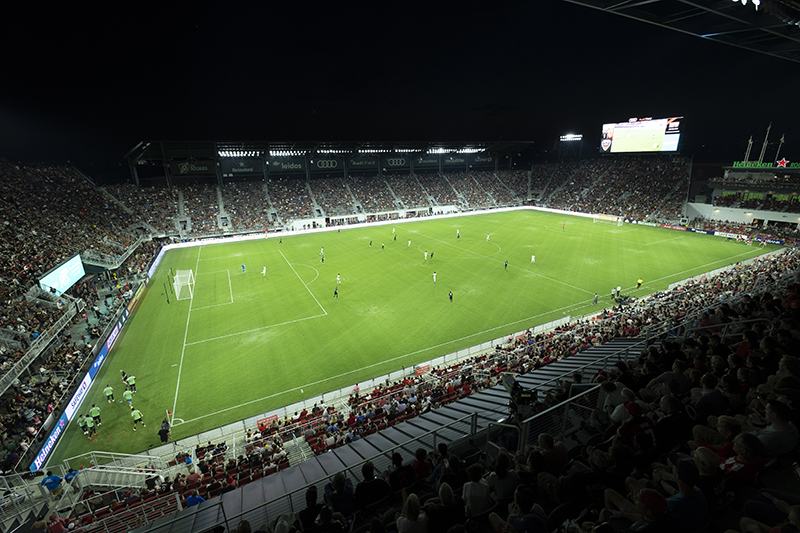 From the beginning of the project, Club leaders were committed to building a state-of-the-art venue that would take the fan experience to a new level while staying true to D.C. United’s environmental goals. 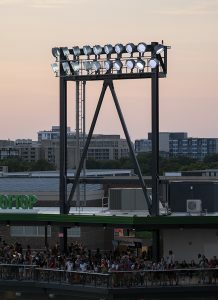 Crystal Clear Visibility – Players on the field and spectators in the 20,000-seat stadium can see the ball and follow the action better as a result of custom optics designed around the LEDs. 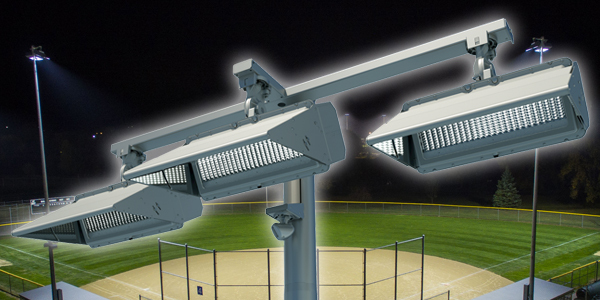 No Disruptive Glare – Nobody in the stadium will be affected or blinded by glare from the lights thanks to Musco’s patented visoring technology. Exceptional Broadcast Quality – MLS fans watching D.C. United home games from around the world will enjoy a much more enhanced HD broadcast due to the system’s multi-zone aiming which improves uniformity and eliminates harsh shadows. 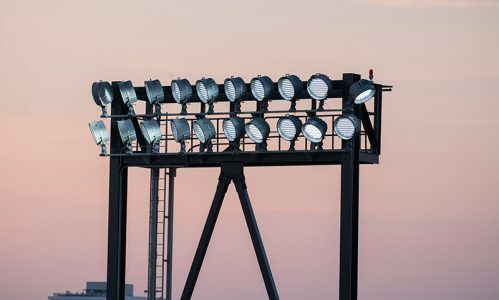 Reduced Energy Consumption – The new system will reduce energy consumption by 61 percent compared to metal halide equipment and helped Audi Field achieve LEED Gold certification from the U.S. Green Building Council. 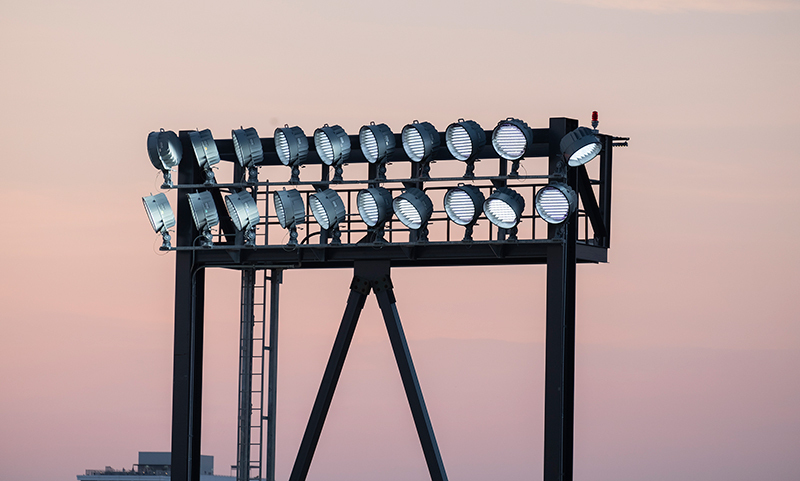 World-Class Entertainment Experience – The system integrates with Audi Field’s DMX controls, allowing the individual LED fixtures to synchronize with music for cutting-edge light shows. 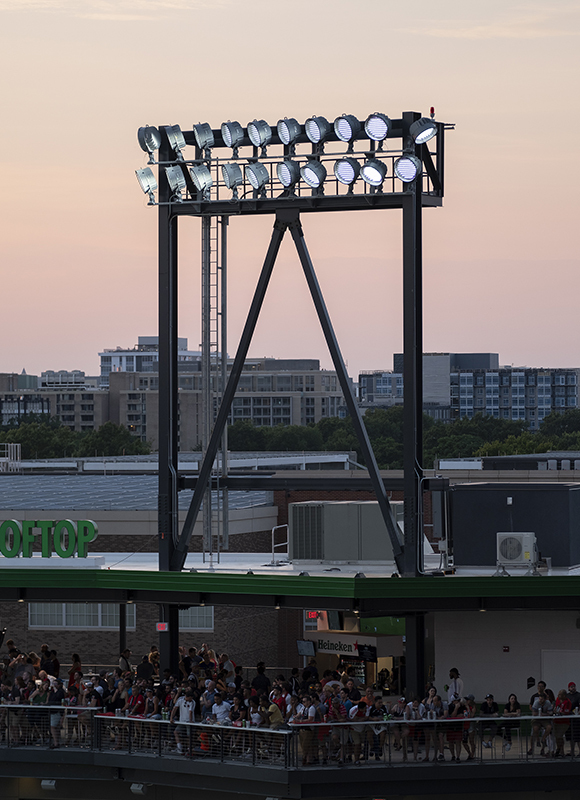 Additionally, with Musco’s long-term warranty covering parts and labor, D.C. United won’t have to worry about handling any maintenance to the lights at Audi Field, or paying for it, for 10 years.